The suspense-filled final table of the World Poker Tour (WPT) Choctaw has just come to an end. Among the four men who made it through the final, three of them were notable poker players. But it was a simple amateur named Jason Brin who successfully made his way to the win. Mina Greco, the only woman who managed to reach the final day, was the favorite candidate in whom the audience at Choctaw Casino Resort (Oklahoma, USA) believed notching the victory. Believable, that would certainly generate an unprecedented buzz. Any way, every WPT event since the inception of the franchise has always seen a man claiming the trophy. And that in Choctaw does. As a short stack at the beginning of the final day, Mina Greco called it a day securing 5th-place for $ 167,691. Alex Lynskey was the first final-tablist to hit the rail. Soon after Minas elimination, all eyes were on the three big names still in contention: Jake Schindler, Andy Hwang and Darren Elias. Though armed with a truck-load of live poker experiences, they all failed to pull Jason Brin out of the track. Brin entered the ultimate round 5th in chip count. Invincible, he made it through the ultimate clash against Hwang and eventually won the battle. 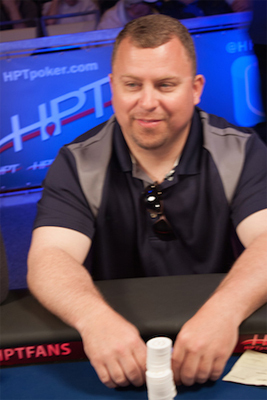 As a reward, Jason Brin was given a pass to the season-ending WPT World Championship, plus the top payday. Schindler and Elias fell respectively to 4th and 3rd-place. In the heads-up, Hwang had a hard time containing Brin's playing style. His wish to seal a second WPT was trampled under his rivals feet. Finishing runner-up, he was awarded $ 468,405 of consolation prize.